At Kagan Publishing & Professional Development, we understand the unique challenges faced by today's schools and districts needing to invest your funds wisely. We're here to help! 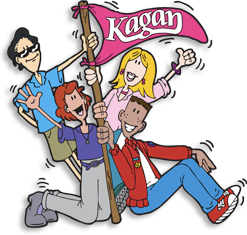 When you invest in Kagan, you can be confident that you are meeting the eligibility requirements of many grant objectives in the following ways. Improve student achievement and teacher effectiveness. Reach high academic standards, as measured by achievement scores. Have proven, sustainable results and ongoing usability in subsequent years beyond purchase.